Visit our latest map viewer application! COME SEE US AT THE BUSINESS SHOW! Our appraisers will be conducting Re-Appraisal for Residential and Commercial properties in Beckley Municipality beginning in April 2019. As a part of this process, appraisers may need to speak to property owners and/or measure new additions. The Personal Property Department has eight full- time Deputy Assessors who have received their Basic Assessment Training Certification from the West Virginia State Tax Department. This department is part of the Raleigh County Assessor’s Personal Property Division. Three deputy assessors are responsible for assessing the various business entities in Raleigh County. Our office actively maintains approximately 650 digital tax maps which are made available in GIS (Geographic Information Systems) format for the public and many county agencies to utilize. 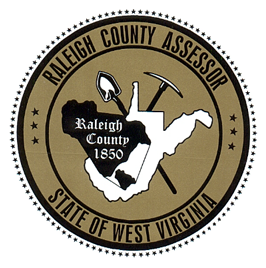 I personally welcome you to the Raleigh County Assessor’s office web site. Your time is very valuable and I want to provide you with a variety of accessible services 24 hours a day, seven days a week. From various tax filing forms to mapping services and much more, this web site provides valuable, up to date information. I will see that you are informed of new developments, laws, and services my office can provide. Our mission is to place a fair market value on real estate and personal property for both residences and businesses. If I can be of assistance to you, please contact me.